The annual Rotary Art Exhibition, a joint project of the Melville and Applecross Rotary Clubs, allows artists to display their paintings to a large number of people and hopefully sell one or more their paintings. 51 paintings of the displayed 410 paintings at the exhibition were sold. 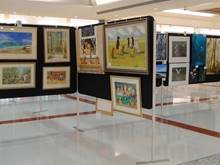 46 paintings of the displayed 312 paintings at the exhibition were sold. 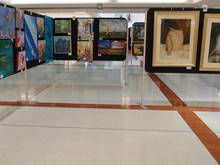 58 paintings of the displayed 325 paintings at the exhibition were sold.